The Spirit of '83 is a tribute to Aberdeen Football Club and its finest moment in May 1983, when on a rainy night in Sweden, a team of 11 Scots players led by upcoming manager Alex Ferguson won the European Cup Winners Cup. Up against the might of Real Madrid and against all odds, Aberdeen scored the winning goal in added time to secure the Club's first ever European trophy. 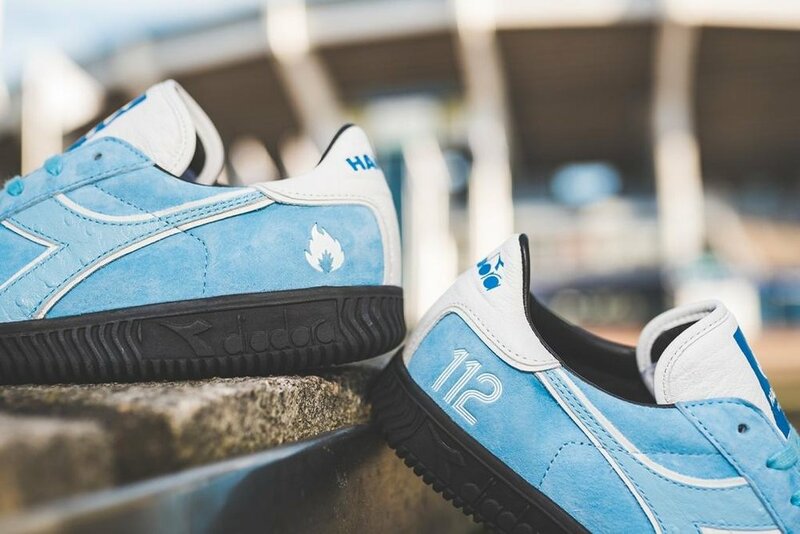 To mark AFC's moment of glory, hanon have worked with Diadora on a special edition of their Squash court shoe. Drawing inspiration from the team's European fairytale, they pay homage to the St. Clair - the legendary ferry chartered to ship Aberdeen's fans in one-off voyage to the Final in Gothenburg. This, hanon feel is their most premium collaboration with Diadora to date. Handcrafted in Italy, the shoe mimics the colours of the St. Clair and is finished in sky blue and black with white accents. A luxurious pig suede upper is offset with a kangaroo leather tongue and heel tab, calf leather lining and footbed, and ostrich leather side stripe. 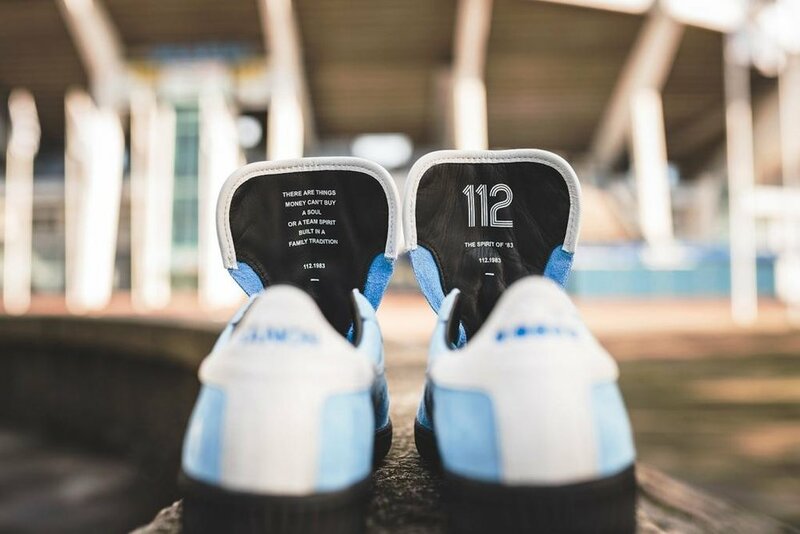 Attention to detail is applied via an emboss treatment at each heel with '112' depicting the time of the winning goal whilst dual branding is featured on each tongue and backtab. Both the footbed and tongue backer are leather laminated and a rain pattern is printed on the insole to depict the weather on the night of the Final. Lastly, the side stripe applied to the medial side of the foot is finished in silver grey to commemorate the Cup win. 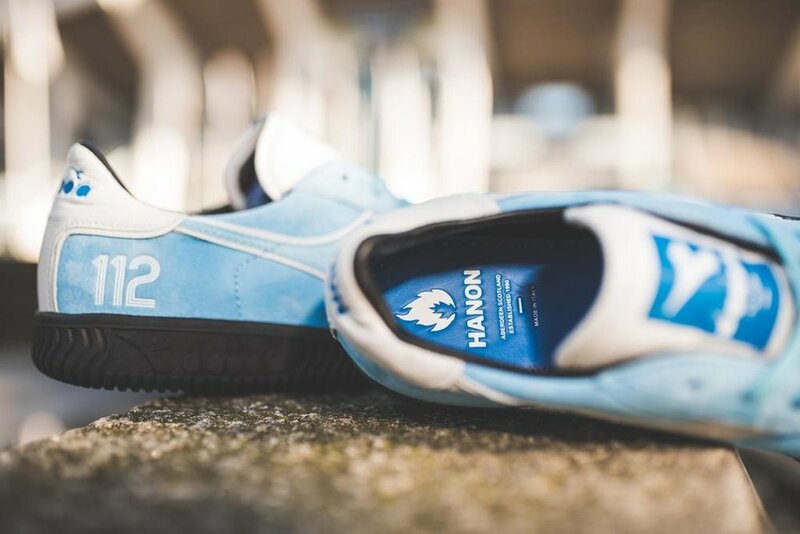 The hanon Squash St. Clair has been manufactured to a strict edition of 150 pairs and this shoe will be sold only by hanon. Each pair will come in a custom box with dustbag and 3 lace sets. The shoe will launch at an invitation only event at hanon on October 25, so make sure to register you entry.